The Work — JAY WILLIAMS CO. There are enough methods out there in googleland that offer transfer of knowledge. What you need is something that really works when the rubber meets the road. To be equipped for real world challenges. Giving you tools to explore who they are including clear, executable strategies created for the moment of truth–the interactive with the challenge. In short, real life skills that kick in when it truly matters. Any training can get you to do the flamboyant 100m dash. The real deal is to go the distance with what you are equipped with. That's when the cash registers ring and people's legacies are cemented. who: Stylist, Front desk, Massage therapist, Nail technicians, Estheticians. Anyone who engages with clients. what: 80% of clients leave a salon for non-technical reasons. Why clients leave you rarely has to do with your technical skills of cutting or coloring. Your clients don't come to you for the haircut as much as the way the haircut makes them feel. They don't want you to color their hair as much as they want you to color their thinking. They come to you for a greater significance, self worth, and sense of belonging. Along the way they will share with you intimate details about their life they would not share with their therapist, spouse, or best friend. You are a combination of a cosmetologist and a psychologist. 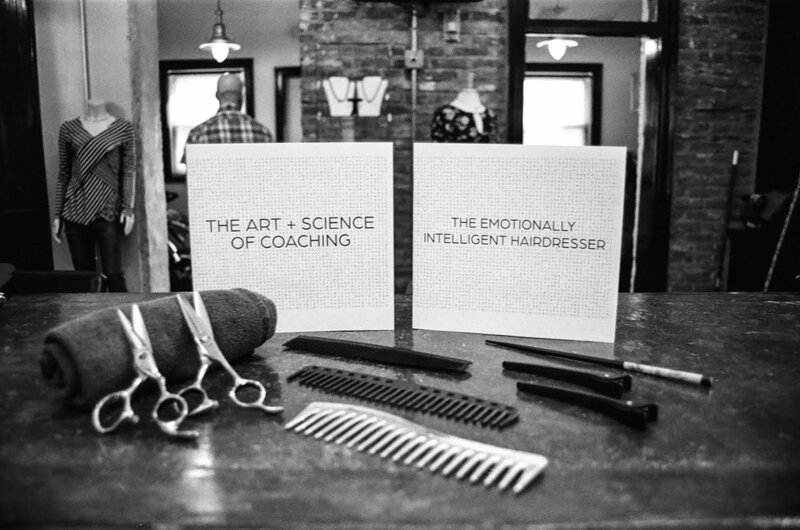 You are an emotionally intelligent hairdresser. how: 5 hour, interactive, fun workshops that include a book, workbook and certification certificate. why: To increase retention, referrals, rebooking, and reviews. who: Owners, Managers, Educators, and anyone who is a leader. 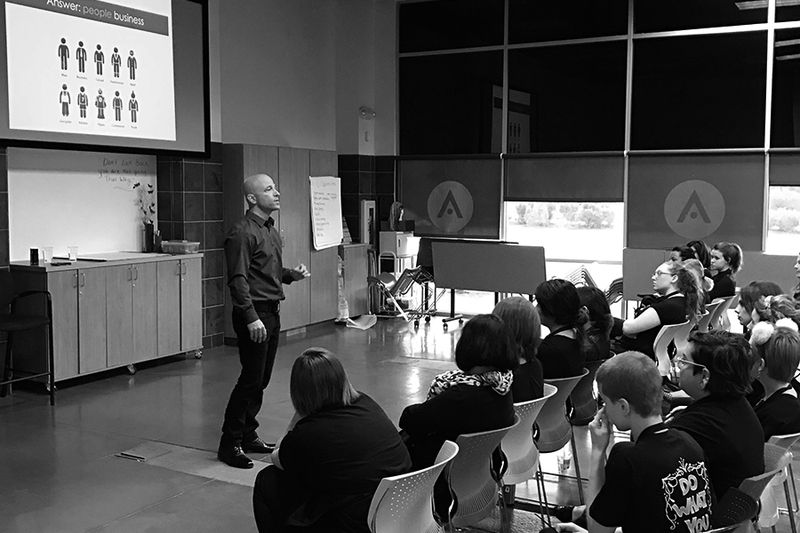 what: A hands on workshop that will give you the skills, thinking, and behavior to get your people to be self-aware, self-accountable, and self-motivated. Imagine a conversation where your people do all of the thinking and problem solving. Imagine conversations that are shorter, more productive, and more energizing! how: 4 hour interactive workshop that includes a book, workbook, and crafted conversation. why: You have addressed your products and process, but not your people which are your greatest assets (or liability). They are your brand ambassadors! You need to maximize their potential...after all, as a leader that's your job. You have tried everything: Being a consultant, being a mentor, and even being a counselor (not by choice). You've run out of ideas...We have one for you, Be a coach! watch: A peek inside coaching with Jay. "You sell a product you gain a consumer. You sell yourself you gain a believer. As a sales person you either have believers or non believers." what: They will learn about the behaviors required to be better: the ability to find a common thread, to engage, to harness, prospect, cold call, handle objections, position and close. More importantly we will shift their thinking not just their behavior. When you shift the thinking studies have shown that the results are 4x more sustainable. How about that...training that lasts past the day of training. how: 2, 3, and 4 hour highly interactive workshops that shift their thinking about what they do and how they do it. why: We don't need more people to sell. We need sales people to be more. We don't need more relationships. We need more out of our relationships. We don't need more sales training. We need training that produces more sales. 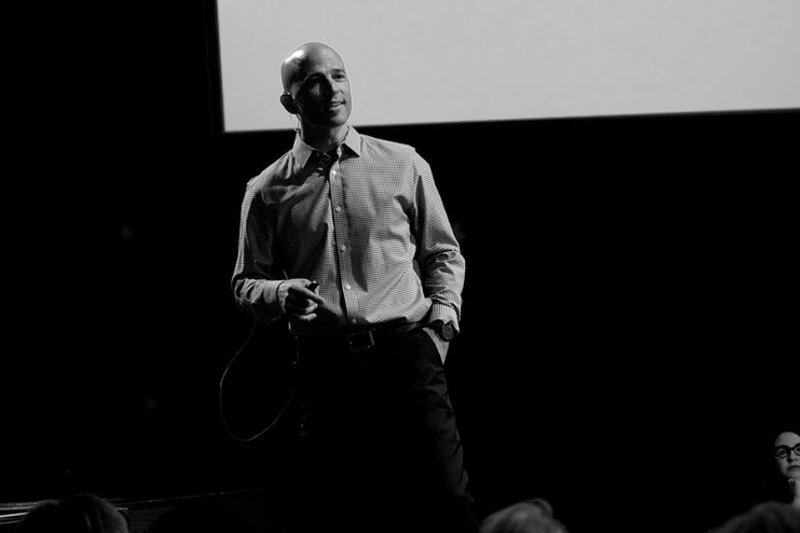 Watch a keynote with Jay. who: Salon owners or salon owners with their leaders. what: Get back in touch with why your salon exists, what you stand for, and where you are going as an organization. Build your future on the solid foundation of your True Brand Story™—not on what someone else thinks you "should" be doing and certainly not the randomness dictated by each day's temporary demands. Get back in touch with why your salon is important to the world and why any of this matters anyway. how: Scalable to your needs and the size of your organization. 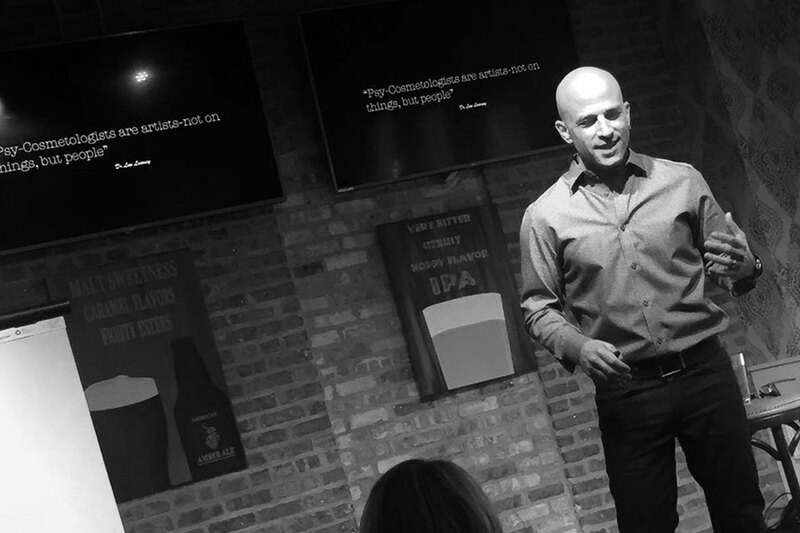 It all starts with telling your story using the True Brand Story template. Click here to download your copy. If that's all you needed, take it with my compliments. If you would like guidance to get the most of your True Brand Story contact me here to get started. We get distracted. People need hired. Schedules need to be created. Client problems need solved. After a few weeks, months, and even years we find ourselves spending all our time on what we do but very little time reminding ourselves why we wanted to open our salon in the first place. Getting stuck like this leads to mediocre performance and low satisfaction with our professional lives. who: Salon owners or salon leaders and managers. what: Most salons talk about the Guest Experience but very few can point to any evidence that it really exists. 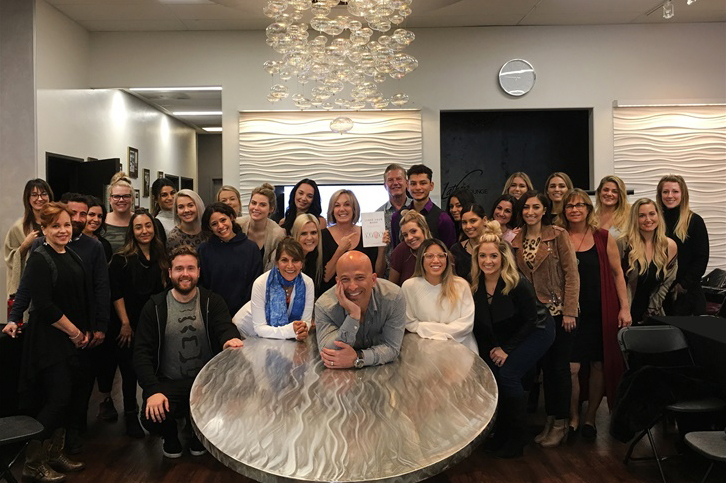 In the beginning the salon owner has a vision, and a few team members "got it," but over time the experience either got dumbed down or it morphed into whatever the person talking about it wants it to be. One receptionist's greeting is warm and friendly, the other's is cool and stand offish. One person answers the phone with an open heart, the next is looking for a way to send you to voicemail. how: Our methodology creates an Intentional Guest Experience based on your True Brand Story and on the emotions you want to resonate with during the beginning, middle, and ending of your guest's experience—extending into her home and beauty regimen. If you have completed your True Brand Story and you would like to create your Intentional Guest Experience contact me here to get started. View the Intentional Guest Experience. what: Leverage what you learned working behind the chair without allowing it to limit your growth. There is essential knowledge every salon owner and manager must know to progress from artist and artisan to leader and manager. Learn the role of business in society, the role of the leader, the two markets every business competes in, and progressively more as your grow as a business person. how: It all starts by understanding the Leadership Development Cycle. Then we locate where you are on the Cycle, inventory your skills, strengths, and weaknesses, and move forward with a curriculum tailored to your needs. As they say, "What got you here will not get you there." Let's work together to make sure you've got what it takes to build a successful organization and a durable brand. We pass through many developmental stages throughout our lives. As infants we learn to rollover, rise up on all fours, crawl, rise further, and then learn to walk. In school we graduate from elementary, middle school, and high school as we gather experience and skills and as our brains mature. When a salon owner or manager moves out from behind the chair, she or he enters a new developmental stage. Learning the right things at the right time can make the different between walking and running. View the Leadership Development Cycle.